Book of the Week Book of the Week: A Pick by Forrest Soper Forrest Soper selects Belgravia by Karen Knorr as Book of the Week. Belgravia. By Karen Knorr. Stanley/Barker, 2015. 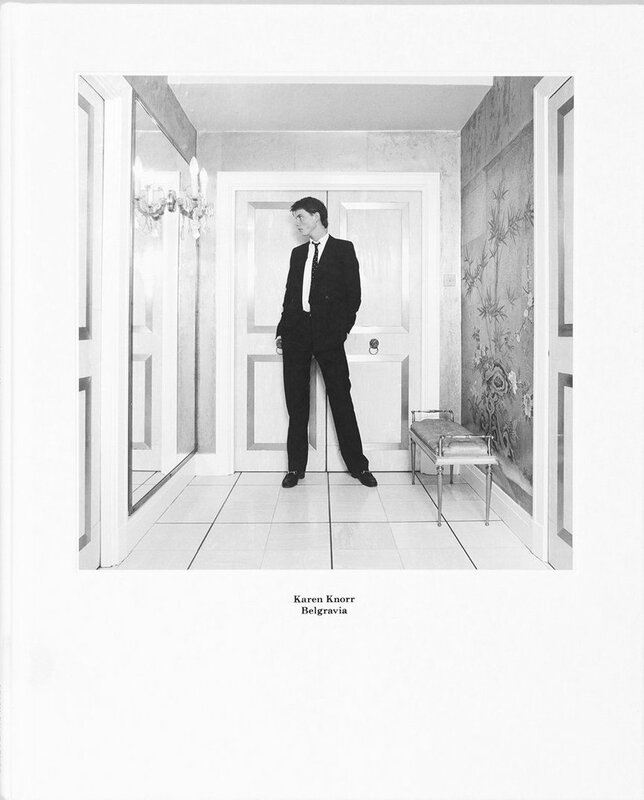 This week's Book of the Week pick comes from Forrest Soper who has selected Belgravia by Karen Knorr from Stanley/Barker. "In Belgravia, Karen Knorr gives us a unique glimpse into the exclusive world of the upper class. Shot in one of London’s wealthiest districts, the book documents the inhabitants of Belgravia as they elegantly pose in their households. These individuals are dressed in their best attire and often seem uninterested in the camera, posing with near rigid formality. Their environments are often as meticulously orchestrated as their outfits, with every chair, curtain, book, and painting arranged with the utmost care. This overt organization and attention to detail not only illustrates the wealth of the individuals, but also hints at a sense of detachment and sterility. Despite the visually compelling nature of these images, the most captivating aspect of this book is not found in the photographs alone. As Knorr photographed her subjects, she would talk to them extensively, listening to the stories and statements they told her. In this book, excerpts from these conversations are paired with the photographs. The statement: 'If the Hostages in Iran are released Gold will plunge' is paired with an image of a young man standing in a lavish living room adorned with books on various artistic movements. When the images are accompanied with quotations from the subjects, a whole new level of insight is gained. Forrest Soper is a photographer and artist based out of Santa Fe, New Mexico. Currently attending the Santa Fe University of Art and Design, he also serves as an employee at both photo-eye Bookstore and Bostick & Sullivan.